Welcome to our A La Carte Wedding Menu! We take the stress out of ordering wedding flowers by offering four of our most classic floral collections to choose from. Simply order online and we will do the rest! No contracts or consultations necessary - just beautiful blooms right at your fingertips. Browse our selection of gorgeous blooms and choose exactly what you need for your wedding or event. All orders must be placed no later than 2 weeks prior to the wedding/event date. Once your order has been placed, a designer will get in touch with you via email to confirm details and you are good to go! At checkout, you will have the choice to pick up the flowers or have them delivered to the venue of your choice. You may pick up the flowers at our Whitefish shop at no additional cost. 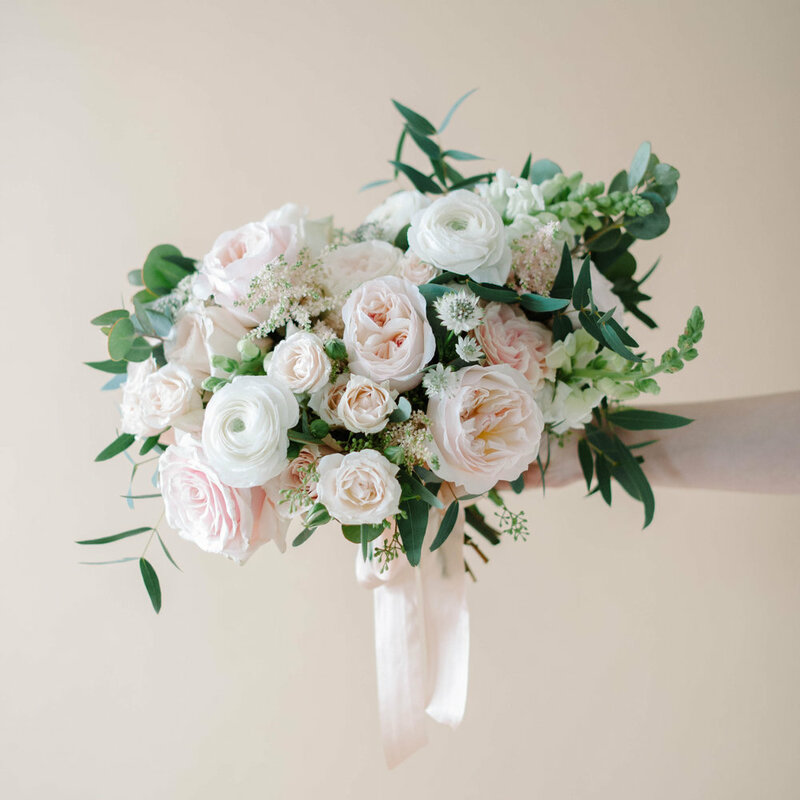 We recommend picking up the day of your wedding/event to ensure the freshest blooms possible. We deliver to Whitefish, Columbia Falls, Glacier National Park (and surrounding areas), Kalispell, Lakeside and Bigfork. Delivery fees range from $25-$100 depending on the location (based on exact mileage). All deliveries include one location drop-off service only. Additional locations will incur additional fees. If you choose to have your flowers delivered, we will contact you once your order has been placed to confirm a delivery address and time. Once the delivery has been scheduled, you will be charged an appropriate delivery fee. We do not ship or deliver wedding flowers outside of the Flathead Valley at this time. If you need to cancel for whatever reason, you may do so 30 days prior to your event. All refunds will be subject to a $50 administrative fee. No refunds will be given once the 30 day deadline has passed. We've curated these options based on their popularity and in order to simplify the process we do not offer modifications. If you love our style, we think you'll be thrilled with the freshest seasonal blooms that we pull for your arrangements. If you are looking for larger scale, custom floral design - check out our Custom Floral Design option. Do to the nature of working with live product, Mum's Weddings reserves the right to make floral substitutions as necessary. Please understand that we are working with a natural product that is subject to weather conditions and availability. The photos shown are a representation of how the arrangements will look but actual designs are dependent on the artistic interpretation of the designer. Mum's Weddings is not responsible for the condition of the flowers after they are delivered. We always make it our goal to make sure the blooms are at their best before they leave our shop. We include care instructions with each order to help our clients keep the arrangements in top condition.